1) To confirm the booking, we require a non-refundable deposit equalling the amount of the first night's accommodation as a deposit, regardless of the number of nights stay. 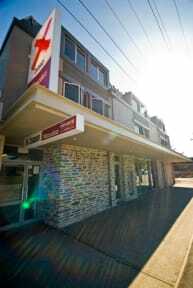 2) Final payment and numbers need to be forwarded to base Backpackers 4 weeks prior to arrival. 3) We encourage the group to pay in full, 4 weeks prior to arrival but if this not possible please notify base Backpackers as soon as possible. 4) Cancellations or rooms reductions within 2 weeks of arrival will be 100% non-refundable. 5)Any monies owing on accommodation will need to be paid in full upon check in unless prior arrangement has been made with base Backpackers management. 6) On check in the group must supply valid credit card details to be used as a bond. This credit card will not be charged providing the rooms are left in an acceptable manor (no damage caused etc...) and no disruptions caused towards our other guests. All mattresses, bunks, linen, towels etc must be in the same condition as given. This means, no graffiti, extreme dirtiness, disfigurement of any kind. The room must be left in an acceptable state, all rubbish in bins, no stains on the carpet etc. Other areas of the hostel, lounge, games room, kitchen, bathroom etc are all communal areas and it is expected that all guests clean up behind themselves and respect all other quests using these facilities. 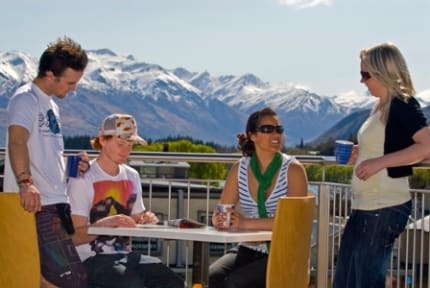 BASE Wanaka has an excellent, central location; just minutes walk to shops, cafes and local stores. Superior facilities, fun communal areas and friendly local staff with extensive knowledge of the area make this the perfect place to stay. Our on-site bar 'Mint Bar' is open from 6pm offering excellent service alongside great priced high quality meals and drinks. Breakfast available in reception for just $4 per person! Under bed lockable storage in all multi-share rooms. Central heating for the colder winter months, for that extra cosy feel. A drying room during ski season. Mint Bar has different activities on each night including Bingo, Quiz Night and Karaoke, make sure you check out our drink specials every night! Cancellation Policy - 48 hours prior to arrival. The shared room was a mess.